What if it was yours? It always strikes me as disturbing how fierce arguments over the right time to let unborn babies live and the need to let premature babies die coincide at around 23 or 24 weeks. Where termination is concerned, a 24-week old baby is considered too far developed to have its life snuffed out. At the same stage a premature baby is, apparently, too expensive to be allowed to live. The BBC2 documentary 23 Weeks: The Price Of Life examined the arguments for leaving babies born at 23 weeks to pass away without resuscitation or medical intervention. Behind the arguments effectively to bin life at its early stages is, of course, money. The price of life is seemingly too high for the liking of some highly-paid NHS officials – like Dr Daphne Austin, for instance. Doctor Austin, an adviser to local health trusts, says keeping early babies alive is only prolonging their agony. Funds would be better spent on care for cancer sufferers or the disabled. This concerning film did much to promote and support Dr Austin’s arguments – a bit of a worry in itself – which were anchored in cash. She said the NHS was spending around £10m a year resuscitating babies born early and keeping them alive in incubators and on ventilators. But despite round-the-clock care from teams of experienced doctors and nurses, just nine per cent left hospital – the rest died. And only one in 100 would grow up without some form of disability – the most common including blindness, deafness and cerebral palsy. One in 100. Is that one baby worth the expense and effort required for a fight for life? It most definitely is, if it’s your baby. We learned that one in five Britons suffers chronic pain (a figure probably skewed by full-time TV reviewers). One suggestion was that premature babies in neo-natal units endure so many pain-related procedures during intensive care that the development of pain’s neural pathways is altered. Among chronic sufferers was 16-year-old Rachel, who was born prematurely and, following an accident aged 12, now feels pain that shifts from head, to feet, to arms to legs without respite. “You just want to take the pain yourself,” said her mum. The poor love: of course she does. Because a premature baby is early he/she is more prone to health problems. These tiny premature babies often have underdeveloped lungs as well as other issues and as a result have higher rates of disabilities such as cerebral palsy. Because of the various health concerns a premature baby is given medical assistance immediately after delivery. Depending on how prematurely a baby arrives he/she is likely to be transferred to the neonatal intensive care unit (NICU), for assessment to determine his/her medical needs. 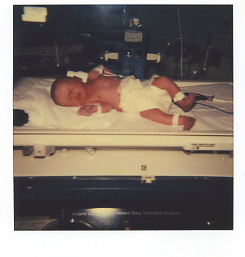 a breathing disorder related to the baby’s immature lungs. Because a premature baby’s lungs frequently lack surfactant, a liquid substance that allows the lungs to remain expanded. Artificial surfactants are often used to treat these tiny babies in conjunction with a ventilator to improve baby’s breathing and to help maintain sufficient oxygen levels in the blood. is the medical term used to describe babies who require oxygen over a longer period of time. The severity of this condition varies and as baby’s lungs mature they tend to outgrow the condition. is the medical term given when the regular breathing rhythm is interrupted for more than fifteen seconds. The condition is often is associated with a reduced heart rate, known medically as bradycardia. A pulse oximeter is used to measure oxygen saturation a drop in oxygen is known as de-saturation. The majority of babies outgrow the condition by the time they go home. previously known as retrolental fibroplasia (RLF), is an eye disease that affects premature babies in which the retina is not fully developed. The majority of cases resolve without the need for treatment, although serious cases may require surgery. Both oxygen toxicity and relative hypoxia can contribute to the development of ROP. is the result of a build in the baby’s blood of a chemical called Bilirubin. As a result of this build up the baby’s skin takes on a yellow tinge. Treating the condition involves placing the undressed baby under special lights whilst covering baby’s eyes to protect them from damage. According to scientists measuring the development of a premature baby’s brain during the first few weeks of life can help determine whether or not a baby is likely to suffer mental and or physical development issues in the future. Nearly half of all premature babies who survive being born before 30-week gestation go on to develop a mental or physical disability. Gender also appears to play a significant role as baby born very premature were more likely to be affected than girls born at the same gestation. While a foetus is in the womb the surface of their brain known medically as the cortex, should change in appearance from looking somewhat like a coffee bean to looking more like a walnut, however if a baby were born prematurely the above changes would take place outside of the womb. The stress of premature birth combined with the stress of invasive medical care can greatly influence the brain development in premature babies resulting in a slower rate of brain growth. 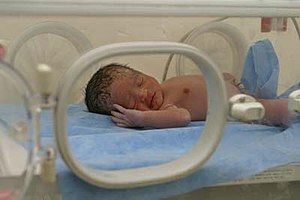 By scanning and measuring the brain of premature babies, it may be possible to identify which babies are most likely to require development support later on. Making the transition from a cot to a single bed can be difficult for young children who feel safe and secure in their familiar cot so it is important to make the transition as enjoyable as possible. Ideally you should aim to keep your little one in a cot for as long as possible, however generally by the age of 3 years, most toddlers will have moved from a cot to a single bed. If your little one persists in attempting to climb out of their cot then it’s time to move to a single bed. How well your toddler adjusts to the new sleeping arrangements will depend on their nature and temperament. Some find the change easy while others take a long time to adjust to sleeping in a bed. You can help your toddler cope with moving from his cot to a bed by making the bed inviting and fun. Let your little one choose his own bedding, this will help him recognise the bed as his own little sanctuary. Don’t rush the situation, if possible have the bed made up with the chosen bedding weeks before the initial move and encourage him to sit on the bed during story time. The more inviting the bed appears the more likely the transition will be an easy one for both you and your toddler.